We are a family of foodies (a Food-ily? ), but sometimes you just can’t beat taking kids to a child-friendly Italian restaurant, where the menu is always easy and fun for them, letting the parents relax. 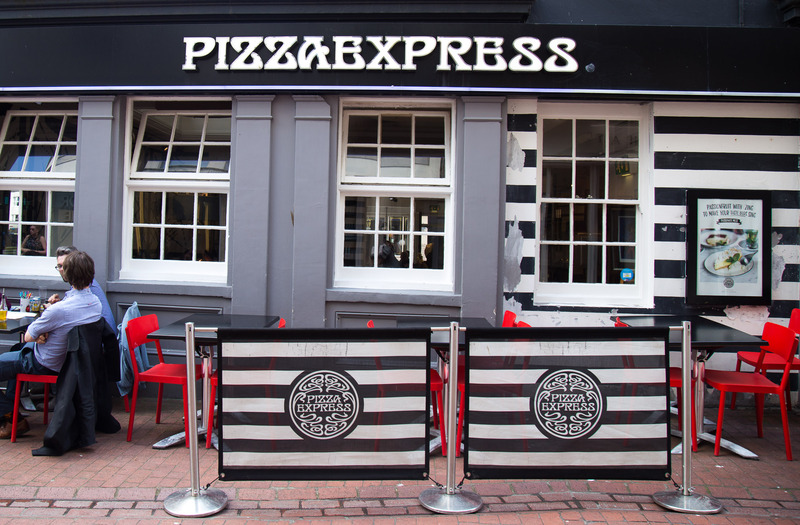 I’ve always been a big fan of Pizza Express. I was talking to Rob about this, how as chains go, Pizza Express has never let me down. The quality is consistent, the menu is creative and seasonal and the wine is very reasonably priced! That’s been the case even more since becoming a parent – I remember the first time we took our son to one and marvelled at the play chef’s hat, tons of crayons, and the fab activity sheets. So when I was invited to eat at one of our local Brighton restaurants(one of 4 in the city! ), I jumped at the opportunity. We planned to go in the early evening, a post-school treat for C.
Little did we know that there would be a teacher’s strike that day, which actually worked in our favour as we were able to put together the ultimate-fun-kid-day: Pizza AND the cinema! You should’ve seen the grin! 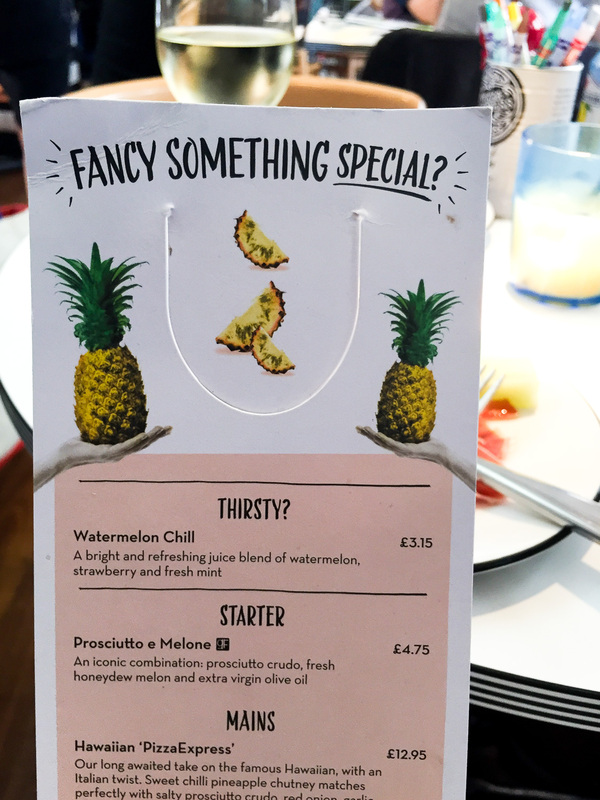 Pizza Express have teamed up with Ice Age Collision Course, and as soon as we arrived (at the right restaurant, after originally sitting down in the wrong one! ), we were immediately offered the new activity sheets, filled with Ice Age games, word-searches, colouring-in, etc. They were brilliant, and not only kept our little fidget busy, but they were educational too, with trivia around healthy eating. 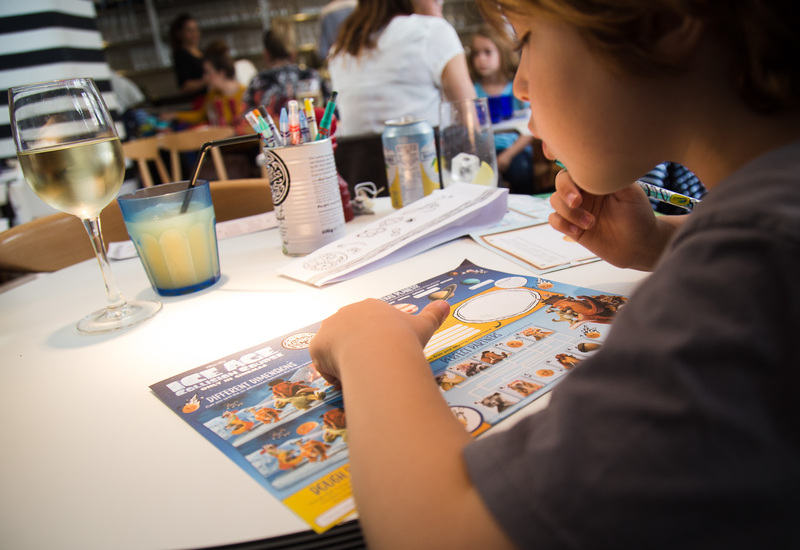 Pizza Express and Ice Age are also running a competition where you can upload your kids’ artwork for a chance to win a trip to LA – fingers crossed for everyone out there! 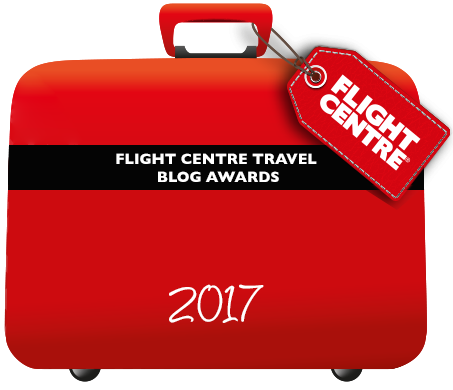 We spent a considerable amount of time deciding what to have (so much to choose from! ), and I ended up having the fresh melon and prosciutto starter from their new menu and my forever favourite Pollo ad Astra. 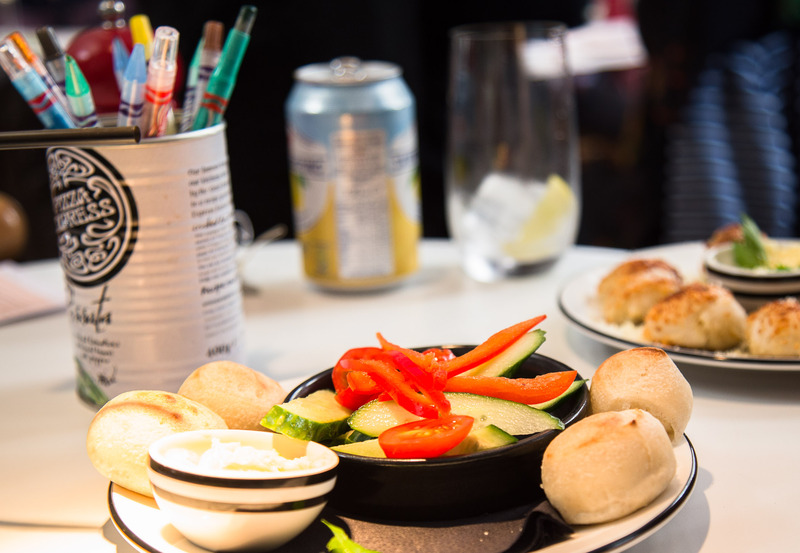 Rob chose the cheesy dough balls, and his own fave American hot, and our son chose from the Piccolo menu (£6.95 – what a bargain!) with dough balls (of course!) and Margherita. As it was a no-school day, the restaurant was busy with families, but still the food was quick to come out, and within 5 minutes we were tucking into our starters. 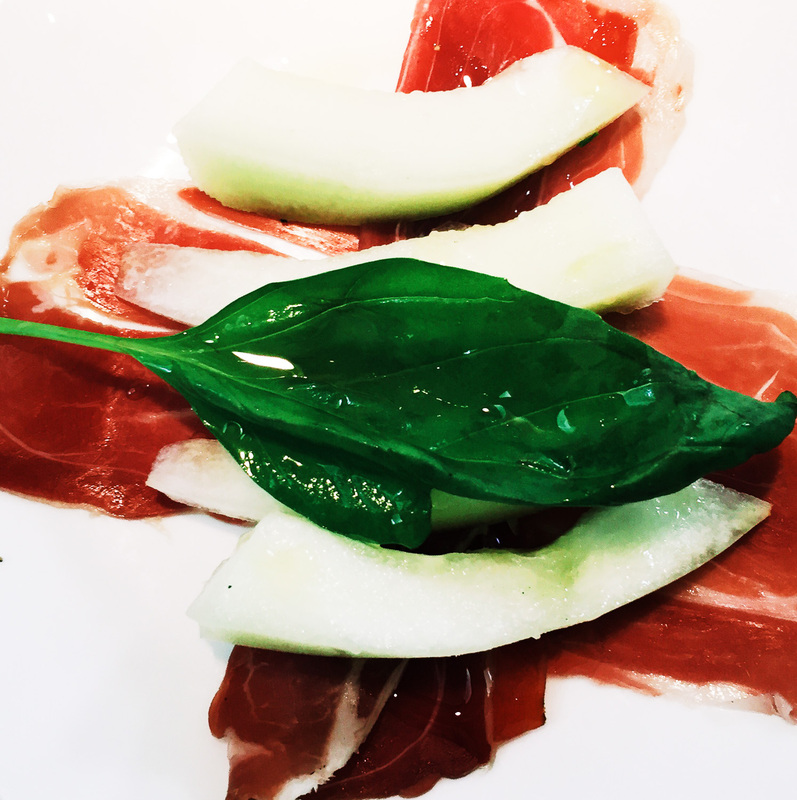 The melon and prosciutto (above) was a great way to start the meal too, super fragrant with a basil leaf on top, fresh and light – perfect for prepping me for the gigantic pizza I was about to consume – I do love just how crispy they get their Romana pizzas! It was all crispy, cheesy and delicious! 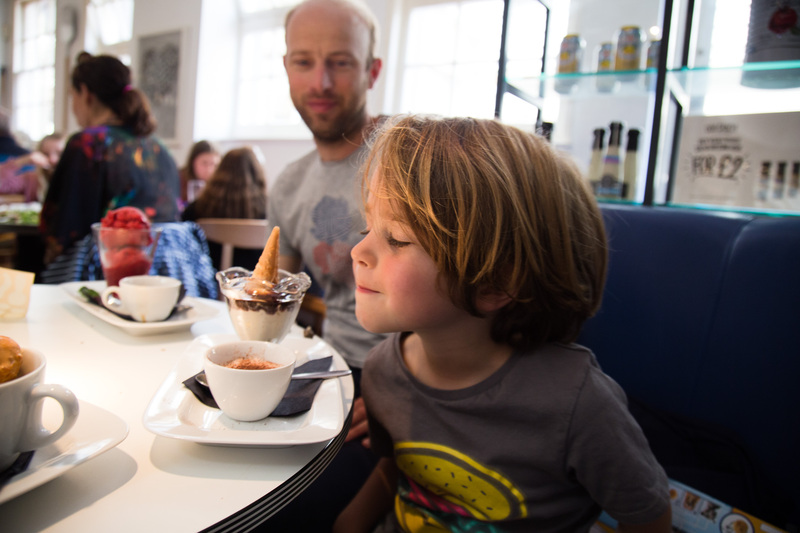 For pudding, our son chose the Sundae with chocolate sauce, which came with its own babyccino (we can never get enough of them), while we had coffees, the salted profiteroles and raspberry sorbet. The profiteroles were nice, but a bit too sweet for me, and Rob tells me the sorbet was just spot on. 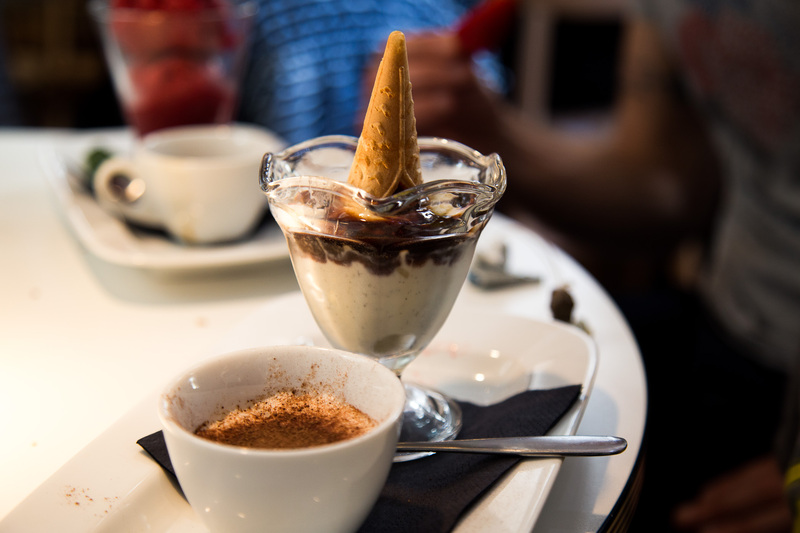 Charlie later told me that the best part of the day had been ‘the pizza and really amazing and beautiful chocolate ice-cream” – he’s an ice-cream connoisseur, in case you were wondering. TIP: We arrived at 1pm and the restaurant was completely full, but by 1.45 most people had left. 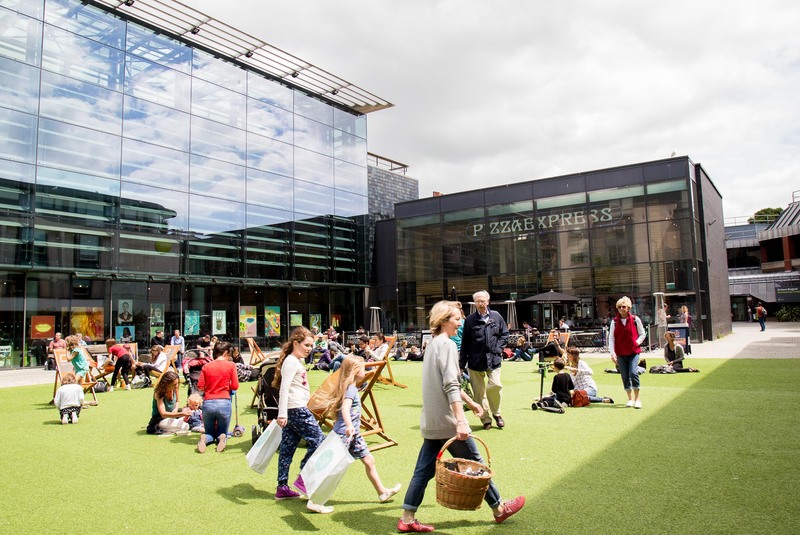 If you’re going with little ones, or if you don’t have children and fancy a bit of peace, I’d recommend grabbing a slightly later lunch at 2 and miss out the crowds. The staff couldn’t have been friendlier and patient with all the kids in the restaurant, I personally find service to be one of the most important parts of my meal, and they did not disappoint. 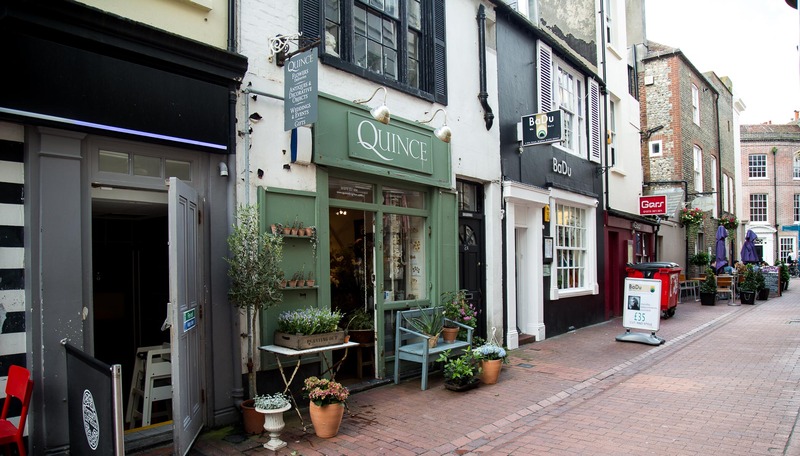 Albert Street – South Laines in Brighton: Perfect for exploring the maze-like alleys of the iconic South Laines, with their designer shops and jewellers. 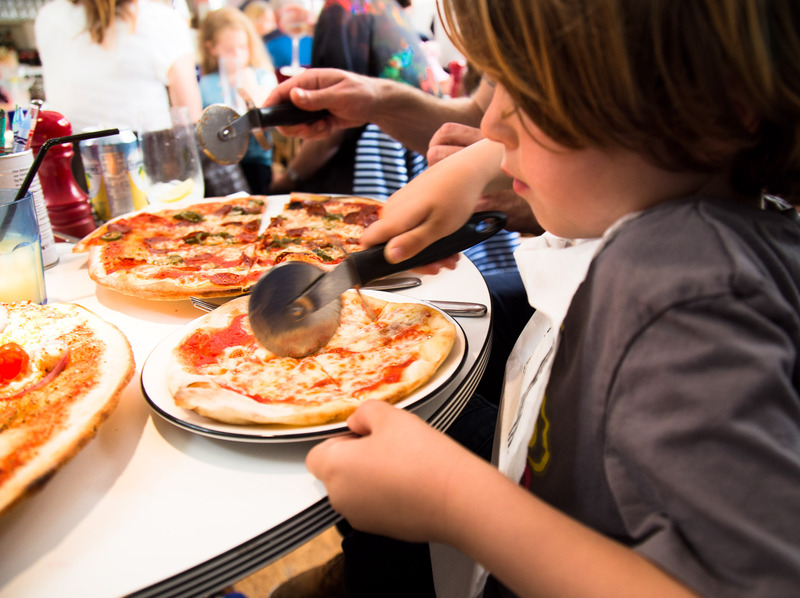 A great spot for lunch if you’ve just visited the pier and need a child-friendly restaurant. Jubilee Street – North Laines in Brighton: Next to the city’s library, this larger restaurant is great for larger groups as it doesn’t get as busy as the South Laines branch, plus it’s bang in the middle of the quirky North Laines, with its independent shops, antiques markets and street festivals. Also great if you’re going to the Odeon Cinema, or a swim at the nearby Prince Regents. Brighton Marina: The walk to Brighton Marina from the pier is wonderful on sunny days, and Pizza Express will always be a good bet when you arrive looking for a place to eat. Church Road, Hove: The Hove branch is perfectly located on Church Road, near all the shopping areas, and Hove’s beautiful parks and squares. 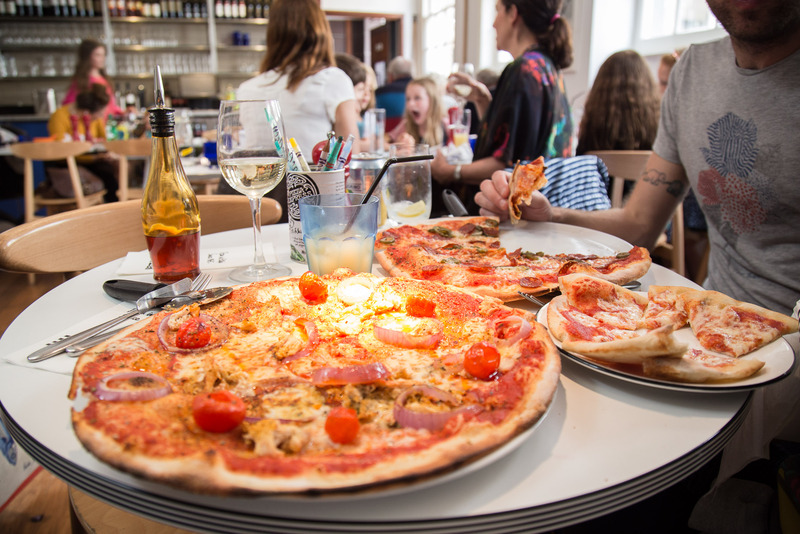 You can probably tell from my review, but I really do enjoy going to Pizza Express, and find it a truly child-friendly restaurant option, but one where parents don’t have to sacrifice eating excellent food and wine. If you’re looking for an easy, child-friendly restaurant in Brighton, I can’t recommend it enough. nb: I was a guest at Pizza Express, but as always all opinions are my own.